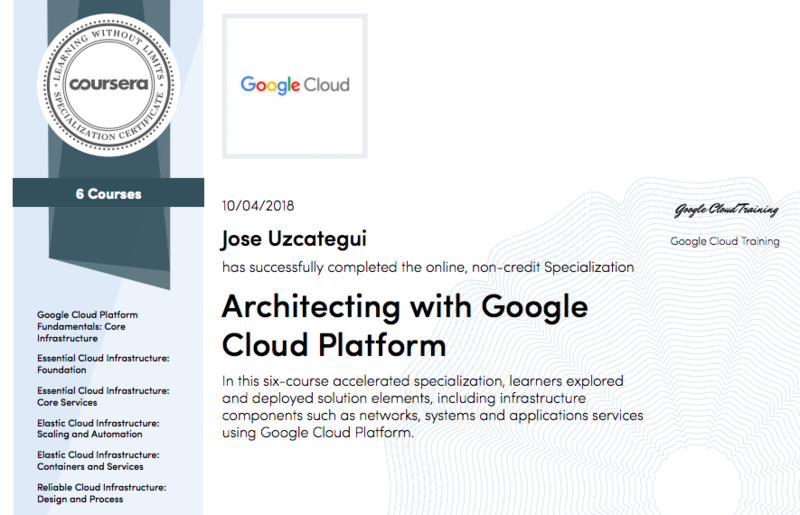 Finally, I just completed the sixth and final course of the Architecting with Google Cloud Platform Specialization delivered by Coursera! Why did I spend time on this? Because I believe cloud technologies have become a critical piece for analytics and many areas of marketing. On my last post I shared some thoughts on some of the ways cloud technologies have helped me in particular. I also shared my perspectives on prioritizing some level of data democratization. There is also machine learning, overcoming sharing across geographies, easily setting up jobs to run code… I could go on. The Specialization consists on six courses covering key aspects of GCP, taught by Google engineers. You can browse the courses in the Coursera GCP Specialization page. Having a bit of experience in AWS, and having had to study for the AWS Cloud Architect certification, made it easier to go through the basic concepts. Though I consider myself Google shop kind of person, I have to say, I’d be more comfortable with AWS for most things other than web analytics. It’s hard to explain why, but AWS seems a bit easier to navigate and understand. I take out analytics on my last comment because of the trifecta of Google Analytics integration to BigQuery and BigQuery super-easy one-click integration with Data Studio. That is hard to beat if you like GA. And I like GA. When I studied for AWS I subscribed to A Cloud Guru. These guys are awesome, but so far they don’t have comprehensive courses on GCP. If they release these, I’d strongly recommend to give them a chance. Here’s my certificate from Coursera. 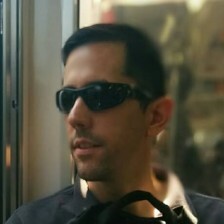 Will I be aiming for the GCP Architect Certification (the one from Google)?